Feel the comfort, enjoy the convenience, and experience the electrifying driving pleasure with our innovative line up of the X series. Each model demonstrates their unique ability to dominate the road which will further exceed your expectations. At BMW Oakville, our team is eager to share their extensive knowledge along with our available inventory of SUVs to provide you a better overview on the model. We are committed to provide you with our service and we want to be a part of your positive ownership experience. Spacious interior: Because of its high roof line, it gives of a spacious feel along with 56 cm of legroom which will further enhance passenger comfort. Elevating seating position: With this implemented function, the driver and passengers will get a chance to enjoy the all-around view. Adjustable seating: With the option of utilizing your seat for back rest or to increase luggage volume, our adjustable seating enhances your convenience. Abundant loading room for bulky items. Thanks to our comprehensive BMW EfficientDynamics technology, lightweight construction, and the sophisticated dynamics, the BMW X1 reduces fuel consumption and emissions which emphasizes the overall performance. 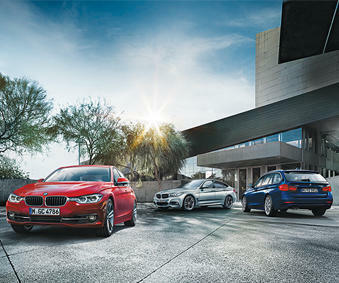 With the xdrive and the steptronic, it maximizes your efficiency and stability on the road. In addition, it provides you the ability to tackle on unexpected road situations with confidence. If you would like to find more extensive details with the BMW X1, we encourage you to visit this page for more information. the ECO pro mode (focuses more on efficiency), comfort mode, and sport mode (focuses more on driving dynamics). If you would like to find more details pertaining to the model, feel free to visit this page for more information. With every curve and turn, the BMW X5 never disappoints through its luxurious design, impressive driving dynamics, and its exceptional comfort and versatility. The BMW X5 ensures maximum performance while minimizing the fuel consumption and emissions. When driving during the night, the BMW Night vision detects larger animals and individuals at a farther distance to ensure your safety. Another feature included in the BMW X5 is the Park Assistant and the integrated camera systems which provides you with ease when finding a suitable parking space along with a better consciousness surrounding your vehicle. If you find the BMW X5 intriguing, visit this page for a more extensive overview.